Celebration for Burke's birthday occurred Saturday at Chile Verde with Burke's mom and step-dad. Wowsers the pitcher of margarita always works! Whether you go to their Sawmill Road location or their Gemini Place location, Chile Verde has the kindest and most patient staff. A+ Chile Verde! Burke and I went to Krema Nut Company on Saturday, too. From information we found there, Krema was founded in 1898 by Benton Black, and is the oldest continuously operating peanut butter manufacturer in the United States! 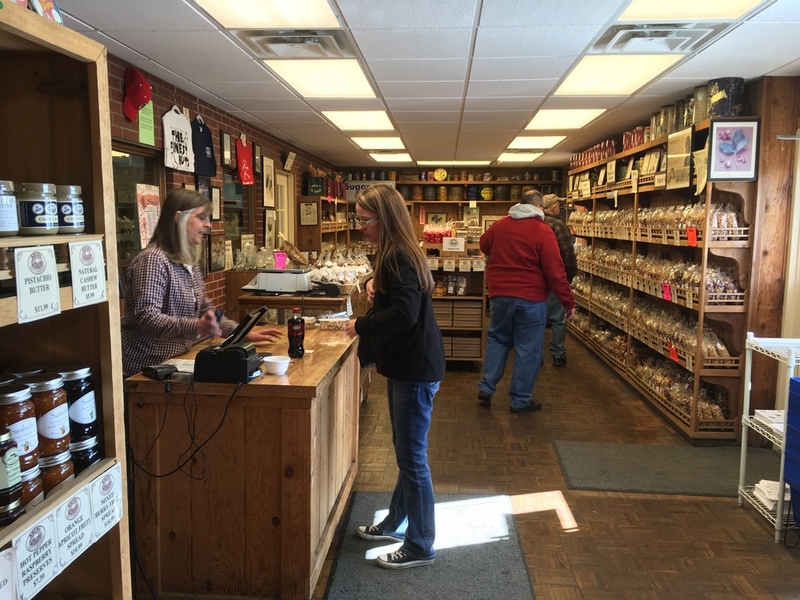 We got a kick out of browsing through Krema's shop! Plenty of gourmet nuts, sweets, and a variety of peanut butter and nut butters! Also, there is a sandwich counter serving gourmet peanut butter sandwiches, milkshakes and ice cream sundaes! 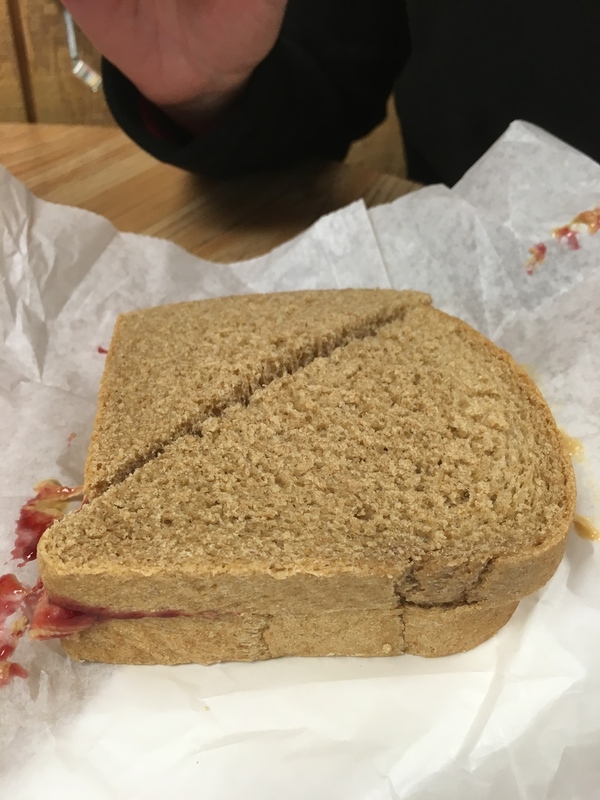 Burke and I split a cashew butter, raspberry preserve on whole wheat sandwich. When I tell you I cannot stop thinking about that sandwich! Every bite was heavenly! This was the Grandview Heights weekend for us, it seems, as we also went to Glenn Avenue Soap Company's grand opening. We are big fans of Sandra and Phil's shop, and were happy to visit again! 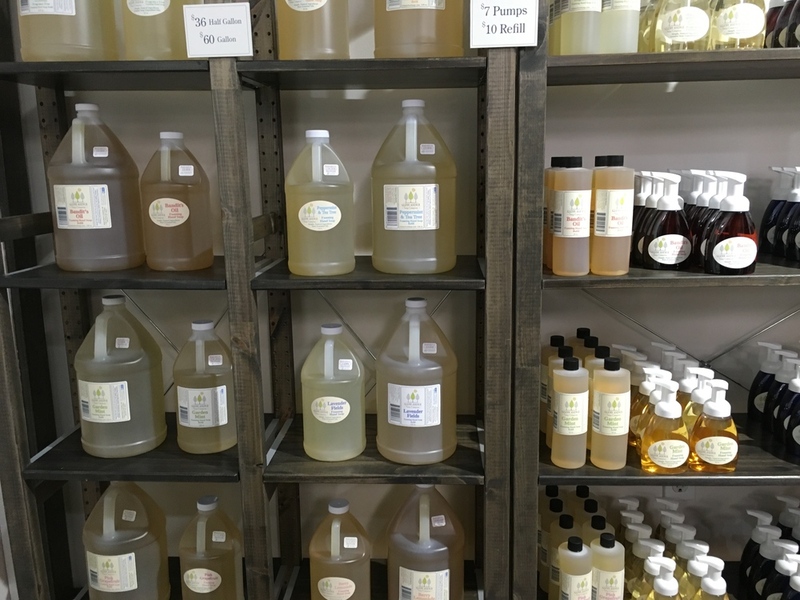 Glenn Avenue has added some new products to their line: body butters, bath bombs and massage oils. We really enjoyed the new Black Raspberry fragrance! Do you think it is time I try to persuade them to create a patchouli based fragrance? Raspberry patchouli sounds delightful!